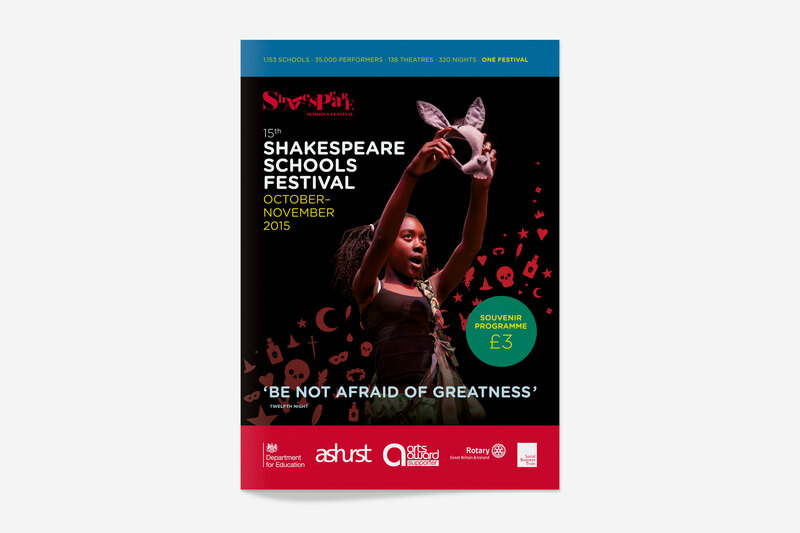 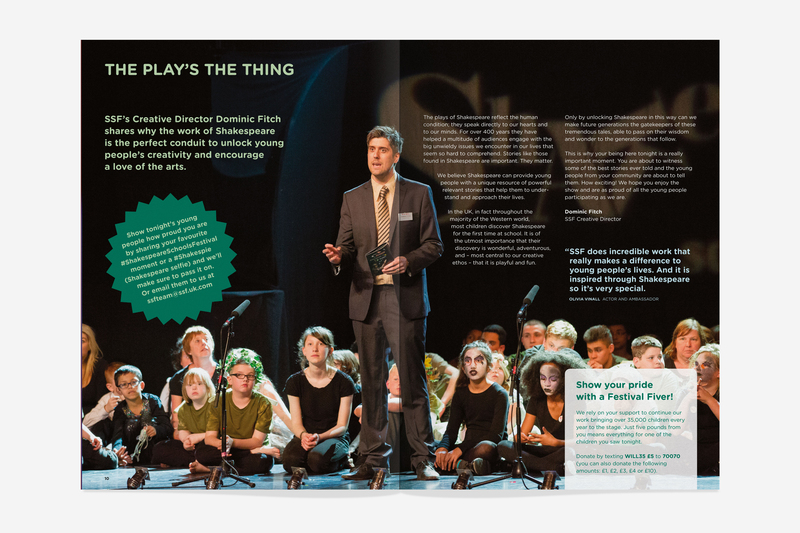 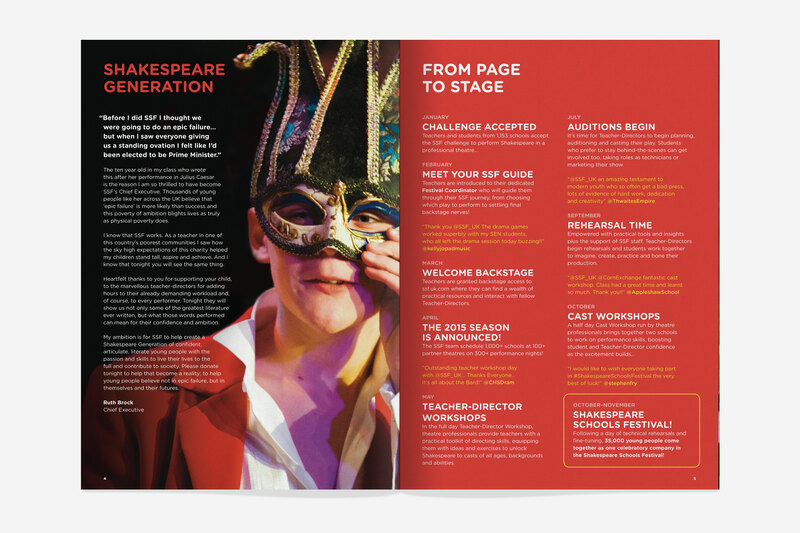 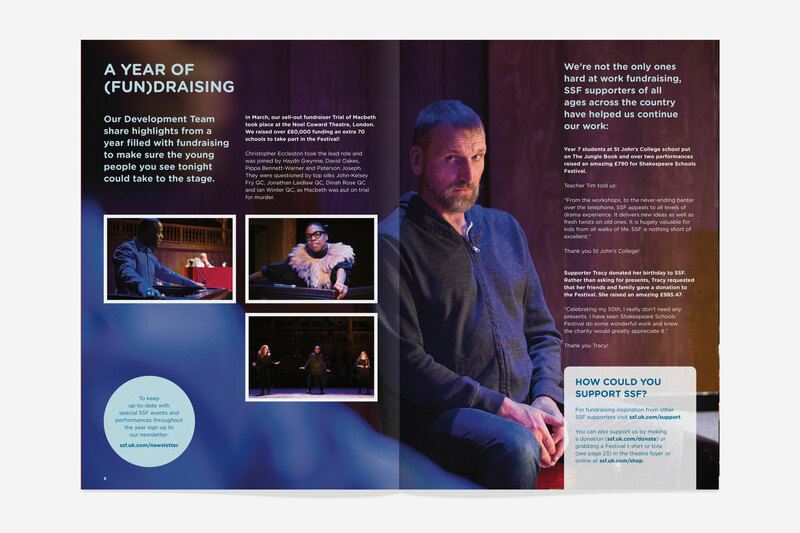 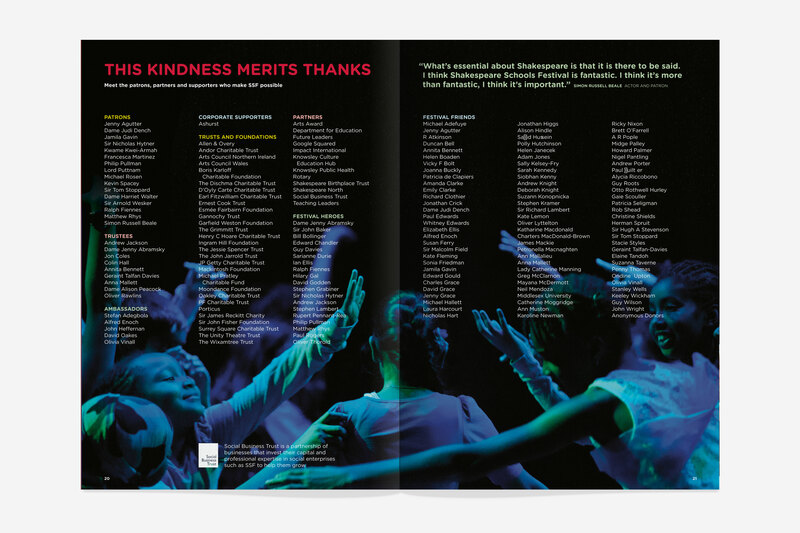 After working on the Shakespeare Schools Festival’s promotional pack of postcards, they asked us to tidy up their annual festival programme. 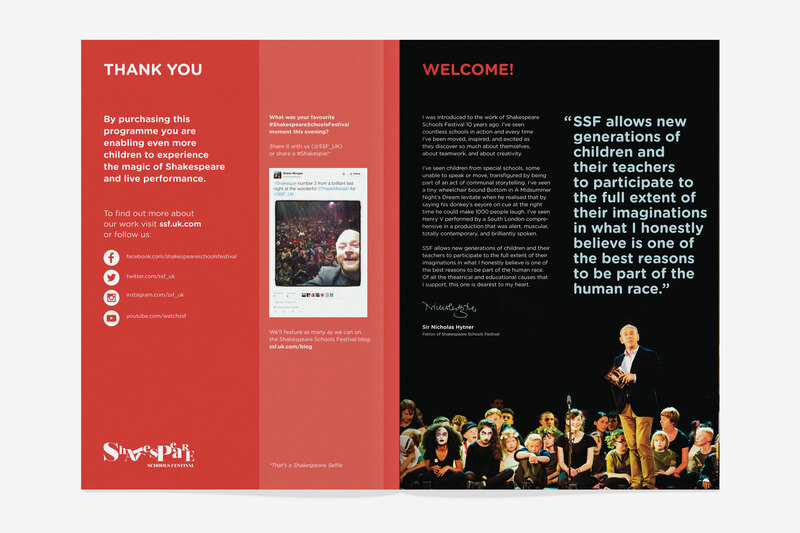 We worked within their existing brand guidelines, structuring images and typography to communicate clearly and effectively. 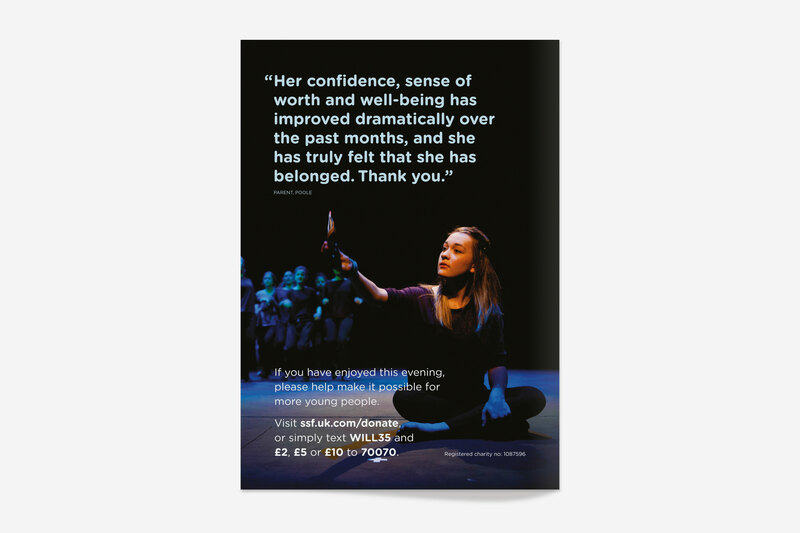 We created single and dual-language versions (English and Welsh) also created posters, flyers and participant certificates.